This One Pan Creamy Tortellini with Butternut Squash Kale and Bacon is so quick and easy to make and sure to please! A new fall fav! 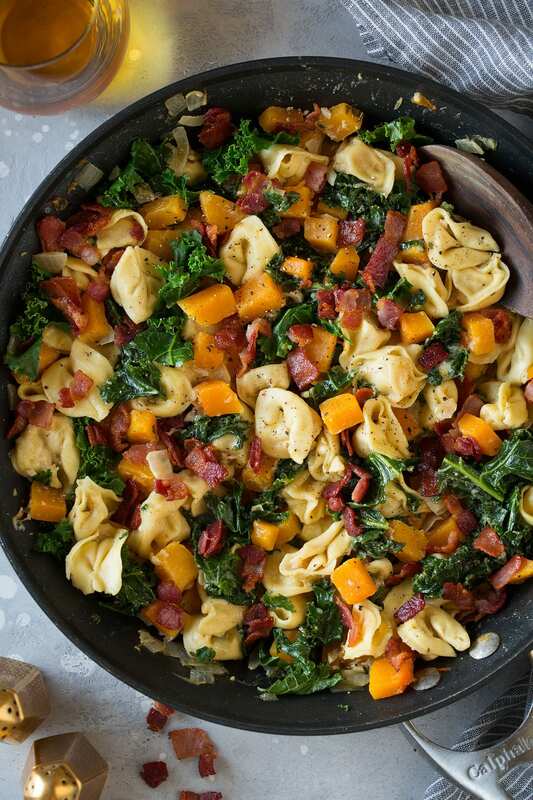 I love the flavor combination of squash, bacon and kale, then pair that with tortellini along with a creamy parmesan sauce and you know this dish has got to be good! I've made this twice this fall and I'd love to make it again before the season is up because it is so incredibly delicious! It's one of the best ways to use up that butternut squash you've got sitting on your counter right now.